It’s a big weekend coming up in the UK with the Royal Wedding, where no doubt bridal tradition will be maintained – something old, something new, something borrowed and something blue. In fact Chris Dobson Marine is it seems also taking a leaf out of the royal couple’s book having just completed the Lake Windemere steam museum fit out (the old) and in being appointed as Victron Energy’s latest Marine & Off grid systems dealer in the UK (the new) – although I’m not sure what the borrowed is (ask Chris!). 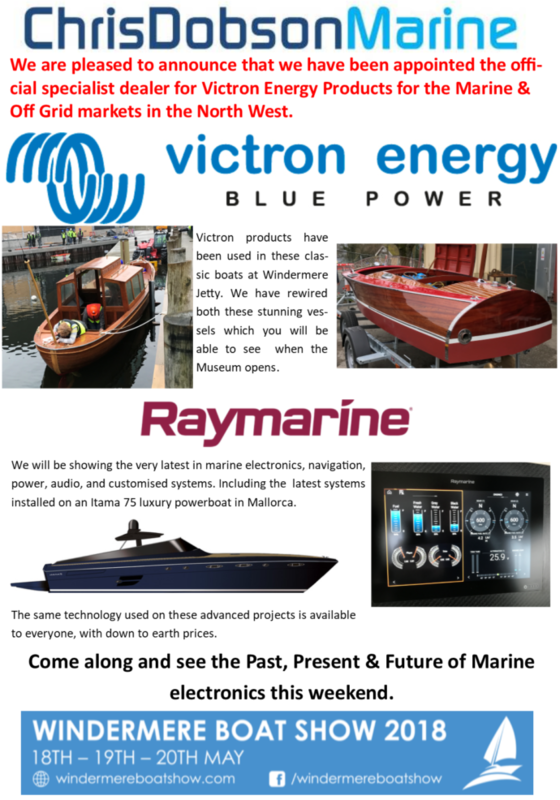 The blue as we all know is Victron, which will certainly be in evidence when he exhibits at the 2018 Windermere Boat Show. If you are in the area why not pop along between Friday 18th to Sunday 20th May. You’ll have to wait to see the newly renovated 1902, SL Osprey, pictured above before her renovation. Here though is a preview below, just as she was being relaunched the other day. She’ll be open to the public when the Windermere Jetty Museum of Boats, Steam and Stories reopens. 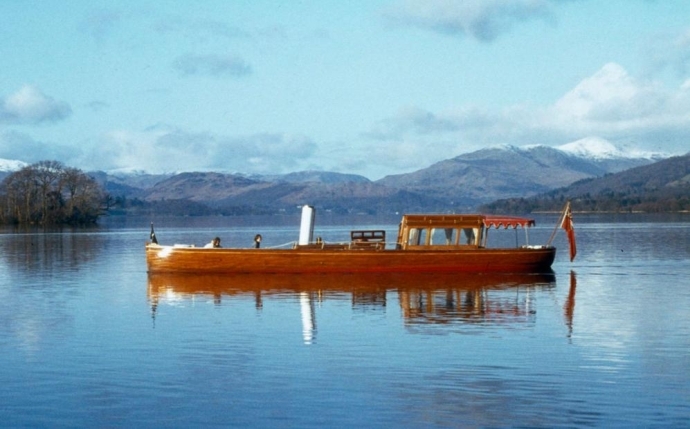 The Windemere steamboat museum fell into disrepair a number of years ago, but in recent years there has been a multi-million pound redevelopment with a fantastic new set of buildings, although the Windermere Jetty Museum of Boats, Steam and Stories renovation is still ongoing. A fortune having been spent on the boat collection in the meantime, with vessels being expertly restored under the guidance of Stephen Beresford. Chris Dobson Marine were chosen to carry out all the wiring on the collection and so far they have rewired the steam launch Osprey, a passenger carrying boat which uses Victron batteries and battery monitoring. The vessel whilst having the appearance of the original steamboat has modern electrics for bilge pumps, navigation lights and VHF radio to ensure it complies with regulations for passenger carrying vessels. 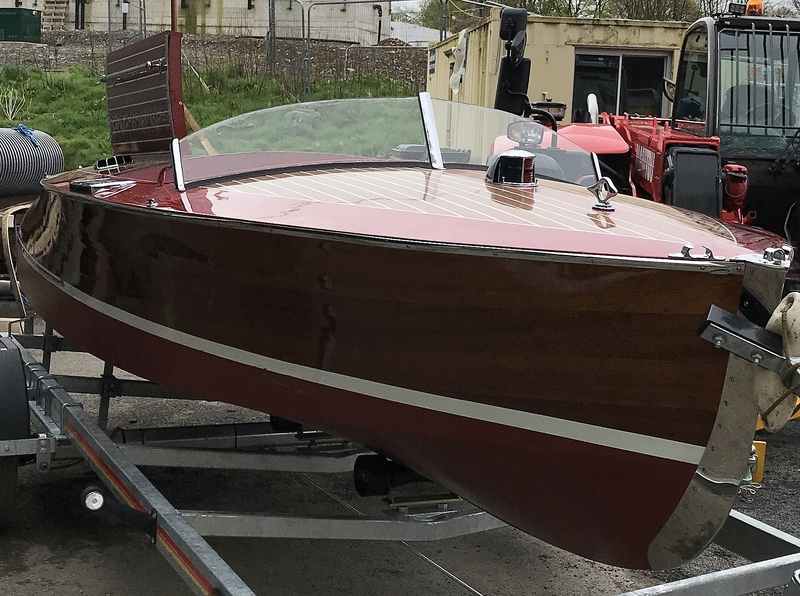 The classic Chris Craft, Jane will also be a museum feature, which uses Victron batteries and a Victron Cyrix unit. 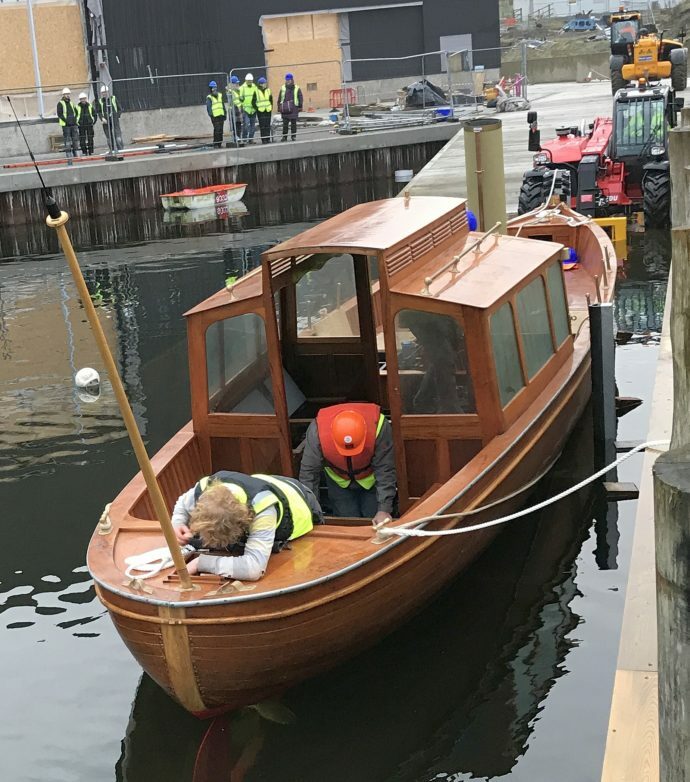 The rest of her wiring has been carried out using cloth covered wire so that it has the appearance of the original wiring, all done by Chris Dobson Marine. Whilst Chris’s work is ongoing, when completed Victron Batteries chargers will also be installed in the museum to keep the onboard and working exhibit’s batteries charged. Congratulations to Chris Dobson Marine from Victron Energy on their new dealer appointment. If you want to visit the show and see some of their work and expertise – here’s the details. The blog headline image of SL Osprey is courtesy of and copyright Diana Matthews.